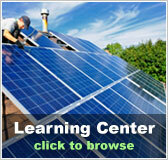 RV Solar Panels | Solar Panels | Solar Power | Site Map | Bookmark This Site! • How much power are you using? Are you a weekend RV camper or do you live in your recreational vehicle for extended periods of time? There are different sizes and capacities of RV solar kits. 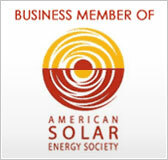 The average solar kits run from 50 watts to around 440 watts. • What do you run in your RV? Are you just using basic lighting and water, or are you powering a microwave, TV, furnace and other amenities? The more power you need, the more solar panels and watts you will require. • How is the local weather? Plenty of sunlight will be needed to charge up your solar panels. Using an inverter with a built-in charger will make it possible to charge up your batteries for use when it gets stormy. For those who only have a DC system and no generator, you will be out of power during bad weather. Most RV owners install their own RV solar kits. Many of these kits come with solar panels, a charge controller, mounting structures, output wiring, fuses, and intermodule cables. Check with your individual vendor or reseller for the specifics of their kits’ contents. More solar panels may easily be added as energy needs increase. For those not up to the challenge, there are installation centers available in many states. Regardless of who installs it, you will certainly enjoy staying in your recreational vehicle longer with the help of solar energy. 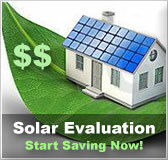 RV solar accessories allow you to get the most use from your solar energy panel system. Use an RV solar panel wire extension kit to place solar panels further away from the battery. 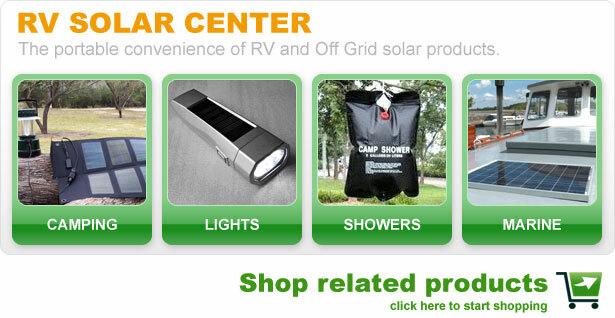 RV solar kits alleviate the inconvenience of dead batteries while camping in an RV. 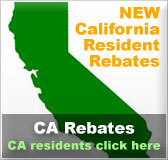 A great place to meet and talk people who have “gone off the grid” and rely on solar power for their travels. The portability of a compact solar lighting system makes it easy to use almost anywhere including at a cabin, in a shed, or even with an RV.